"A sales and client services manager's must!" "It goes beyond being a routing tool." The sheer fact that MapAnything can help an account manager see what's important to them on a screen and plan it out on a calendar that is part of the ecosystem is a huge win. Our initial use case for getting MapAnything was to help with new hires coming in and being introduced to a new territory. As reps have become more fluent in their territory and how to get there, we've seen a stronger need for showing visual data insights which MapAnything does well. We want the reps in the field to have a lot of empowerment. The only expectation is to have their week planned in advance. The MapAnything scheduling feature allows the reps to pull up all the data while they are in the office - the reps can easily see key customer attributes and product data which allows them to make smart business decisions. Another big perk is the support MapAnything has for enterprise organizations. This was a big +1 during our vendor selection phase since we do have a global instance. Creating layers has a learning curve to it, especially if you have a complex org with data spread across several objects. If anything could use a UX update, it would be the layer creation in general. While it is functional today, folks that don't have an average level of data structuring might have a hard time piecing data elements together. Have a strong understanding of the business case this tool will serve beyond getting to person there. Prior to MapAnything we had reps using Google maps, Waze, etc...if you just need to get to a single location there are plenty of options. The key thing is understanding the insights an account manager needs to make smarter decisions on who to sell to and why. Trial and error is the best way to test the waters, don't be afraid to experiment since you really can't break anything. Make sure you have someone that understands your CRM data which makes layer creation easier. The biggest gain so far is the scheduling feature for sure. Depending on the country, we did have legacy tools to help planning a day but the use case was more for a delivery truck versus a person doing sales calls. We have gotten a lot of really good feedback about the scheduling feature and when you combine that with map data it's really valuable. For example, we heard one use case in the Midwest where there was some rough weather, the account manager used MapAnything to see weather warnings due to tornadoes and he was able to quickly replan and reroute based on map data. We've heard the classic use case of customers not being available and MapAnything providing insights to other customers in the area so it's not time wasted. A great use case is being able to see product that are being undersold for whatever reason, the account manager can factor that into his day. Essentially the product helps us to not leave money on the table and provide a higher level of customer service - which is expected these days. MapAnything has been a great tool for our sales team to go out and interact with prospects. They draw routes like they never have before and fill in key data to follow up later. This is entirely better than what we were doing before! Our sales team is really excited to dig into this, and our sales blitzes just became entirely more effective with one application with all of our Salesforce.com data behind it. There are pieces in which are a bit clunky, like jumping in and out of sites to fill in this data, or having to work outside of the app while in the mobile setting to actually get to the location of the customer. The ideal situation would be for one seamless experience with one application which if it needed to interact with others in the background, it would just do natively. Know what you want before you start loading data. If you are a Salesforce.com user, make sure your data is clean and consistent. We have a plan of attack to prospecting now as opposed to just driving around like we were doing before. This will save our team a week a month in cold-calling and prospecting. Being able to plug all of our data directly into Salesforce.com and having all of the data match up perfectly is so key to our success with this product. When we were looking for a tool that compliments everything else were were doing, this was the clear winner. "Robust but needs refining for the occasional user"
Pin view of where my accounts are located, and how I can pick to include certain types/sizes of accounts in my view. It makes it really easy to understand the layout of the area I am visiting and where the businesses are located. You cannot optimize your route if you have set meeting at certain times. For example let's say I want to visit 5 accounts in an area but I have a set appt at 10am with company A and I want to go see company A first but the optimized route has company A as the last stop. I would be nice to optimize only part of the route while being able to set up certain stops at certain times. Drive time savings and more efficient coverage of account visits. It also helps me determine if a business is worth chasing due to the area it's in or the fact that it may be a residence and not an actual business office. The "Optimize Route" feature is my favorite aspect of MapAnything. I can plug in the schools I want to visit and have the best route laid out for me in just minutes. I also love the colored map pins that differentiate between my current accounts and my prospect accounts. I also like the fact that I can map several different routes with similar data and have the ability to save those particular routes for different dates. I wish the mobile app of Salesforce allowed me to use the MapAnything a little more efficiently. It's too hard to use in that realm. I find the laptop version to be much more user-friendly. Best tool I've ever used for optimizing routes with assessment of time management between stops. I also love the colored map pins used to determine which records are current accounts and which are prospect accounts. Best use of my time (and gas!). Best benefits = time management with time between stops in my territory. First off- MapAnything is a comprehensive solution. We have tons of things we really like and use alot. The ability to make a perimeter based on driving time is a huge, awesome feature. The second is the ability to search for keywords and have them populate the map. That feature, and click to create buttons are great tools for prospecting. Lastly- the support is awesome. They have been super helpful and have reached out many times to make sure we are taken care of and are utilizing all of its features. As with all powerful tools, it can be daunting to learn all of its features. It would be cool to have an online learning platform like salesforce trailhead to fully learn all of its features. The ability to export with hyperlinks would be great as well. Make sure you block out some time to learn the tool. We are prospecting better, and creating location based customer and prospect lists. We have had an easier time compared to our old mapping tool, and have alot more flexibility with options now. "Helping us "see" our data"
The feature I like best is the ability to filter a query to the exact dataset that I am studying/analyzing. I have been able to get as granular as necessary for the projects assigned to me. Additionally, the ability to layer one query over another to analyze proximity has been a big benefit to my organization. To date, the only feature that feels missing is the ability to print a map for inclusion in reports or presentations. It is easy enough to use screen shots, but seems to be an unnecessary step. There is a bit of a learning curve to get up and running. MapAnything helped us to plan out new program locations based on the home addresses of the individuals in our programs. We were able to identify several central locations within a reasonable distance to the individuals we support. As a result, we are able to more efficiently and effectively provide services. Future projects will involve studying how best to connect individuals to businesses/employers in their communities. This is a powerful app. In marketing, data and strategy are the most important pieces of the puzzle. MayAnything allows for you to interact with your data in such a way that you can rock your strategy. The team at MapAnything is awesome too. They jump on screen shares to help you along the way. There is a bit of a learning curve which is mitigated from the outstanding team at MapAnything. You are only able to get drive times within a window, meaning we are unable to get drive times for over 4.5hrs. We would like to have 8 hours. The availability of demo support is a little tight. They clearly are a growing company providing a great service. Give the demo a try. If you have location based needs, this is the right app to use! Data visualization, creating custom lists of our data based on geotargeting. We have been able to target our marketing efforts in ways we have never been able to do before. We can interact with any object data in Salesforce in order to create reports which normally would take us a long time to build in Salesforce. "No hassles - does exactly what it says on the tin." As an admin, I appreciate that the product is easy to manage. I almost never get calls from users about the product, even though I know they use it a lot. I don't have any complaints. It pretty much is what it is. It is sensitive to address standardization quality, but there is only so much they can do. Pair this product with a good address validation/standardization tool. If you use HEDA, be aware of how the HEDA model manages/implements multi-address functionality. Geolocation helps us to calculate distance from campus, which feeds into our predictive modeling. It is also very useful for our recruiters in the field to plan their itineraries. "MapAnything is an innovative, engaging company to work with"
The only thing I would say I dislike is the change of reps on our account, where I know this is part of the process, not sure how well the information is transferred from rep to rep on our account. I would say this is a great tool not only for your sales team but as an Admin I love it! Makes my job easier as well. We are solving routing and frequency issues in terms of our sales team in the field. We are also now realizing the other opportunities we have and can easily see them visually on the map. The major benefit would be the visual aspect! Who doesn't like colorful visual reports!? "Field Reps Utilize When Needed Most"
The convenience of creating queries and driving routes from both a desktop and mobile environment. The UI is very easy to navigate throught and most importantly, its integration with Salesforce.com. Their are times when creating maps becomes a burden when you are not able to save them in order to retrieve them for later. Or the ability to share a mapanything type file with other users, e.g., a sales rep manager. Easy to use, very intuitive, customer support is by far the best and MapAnything continues to be innovative. They provide many online tutorials and live how to seminars: MapAnything University. They make it easier and easier to use the application and providing more tools within the application itself. We are quickly able to plot a sales reps salesforce.com records to visualize what their territories look like. By creating various zones, a sales rep can effectively target areas without guessing where he or she haven't visited the last time. This increases a sales rep confidence in ensuring all their clients are obtaining the necessary attention to ensure a better customer relationship. "Work smarter not harder! " I love that Map Anything shows me where prospects/customers are, and that I am able to filter them based on different business metrics. It has made following up with existing customers easier, and made finding prospects even easier. Being a field rep, it has drastically cut down on the amount of time it takes me to plan out my sales routes for each day. There is nothing that I dislike. Map Anything has been an amazing tool for me the last 11 months! "The key to business success"
Being able to condense my customer accounts into one picture so that I can strategically give each the attention they deserve is a key to my success and its all thanks to MapAnything. Honestly, I find the platform to be wholesomely satisfying. No negative comments to give here. Its important to sign up for a webinar or take time with an Admin to learn the tricks and trades of this tool. Like any good tech piece, it takes time to learn but once you can master MapAnything, the world of business is at your fingertips. Take the time and help yourself. You won't be disappointed by making MapAnything a foundation of your business. Using MapAnything I can now focus on key territory regions that are blooming with product interest which ensures my ability to strike while the iron is hot. "Helpful tool, UX needs work"
MapAnything gets granular and allows for a lot more focus on our data. We can choose whatever objects we want to map and this allows us to see the relationships between accounts, calls and both shelf and stocking information. ce1 thing) the Map Anything App is a "white screen". The main problem is that I wanted this to be a tool for my sales staff to use and the process has been "painful" along the way. I have repeated emails from Map Anything that show that I tried "very hard".The notion of "adding" another app to the workflow to my staff is not the UX I am looking for. . The biggest thing is I have a low adoption rate due to the fact that the product doesn't work with the calendar (routes) when you type in account it finds it, but it might not be the account in the account's object...it might be from google.com. apAnything is more than maps and places to stay. With route optimization, travel time, travel distance and other variables to set proximity centers that also refine your search, this tool is SMART. It not only does routes and planning assistance, it helps you see where your points of interest are located in a heat map capacity. It is truly a great tool and has so much more to offer than routing. 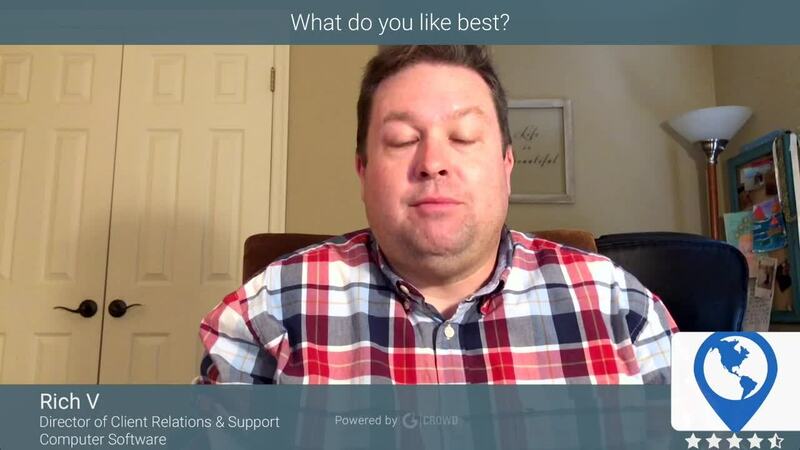 "Great productivity tool with a learning curve "
The amount of support is great with their weekly training webinars for both admins and users. Map Anything has a high learning curve. As an experienced Salesforce admin, I had a hard time understanding how to create and plot marker layers and needed to take the 101 and 102 webinars to truly understand how to best use the app to help my users. Not as useful for newer Salesforce customers that may not have a lot of data. Once you gather a lot of data, this app is very valuable to help you filter your data and plot it the way you want on the map. I would also recommend to look at this tool as not only a sales tool, but a great marketing and ops planning tool. You want to be where your customers are and this is a great way to look at where your gaps are as a company. My reps have been able to better plan their travel days based on filtered marker layers, as well as help us identify parts of the country where we need more of a presence. "Allowed us to find some hidden gem customers"
The ability to see our customers not by name, organization name, or even by zip code but instead visually. We didn't realize that we had a number of customers who were located within easy driving distance of some customers we were already planning to meet with and so we were able to add visits to those "hidden" customers. I wish that we could purchase one user license. We were forced to purchase two even though we have only one person who travels to meet with customers. We wanted to make our business trips to meet with customers more efficient by meeting with all of our customers who were in certain metros all in one trip. i like best the ease of plugging in the requirements and getting multiple ways to analyze my data. A real game changer for reporting. not being able to use a report in Salesforce to use as my data source. I imagine I am not the only one hoping for this feature but it is not a show stopper. Visual mapping of donors and clustering the data for a better idea for events. The biggest benefit is the fact that we didn't know what we were missing until we started using MapAnything. Now that we see what we can do...possibilities now are expanded. Mapanything's ease use, commute data and list views are features we use on a regular basis. The heat map is a valuable tool for our ability to communicate our needs and strengths to potential donors, hogh schools and universities. MapAnything allows us to represent our Salesforce data in an elegant, graphic fashion. We are a small nonprofit that works with large corporations like SAP and IBM to find full time jobs for high functioning autistic people in their companies. When a company decided to start a pilot program, in Lansing, Michigan, for example, we use MapAnything with Salesforce to assist us in finding the people with the right skill set in commuting distance from the office site. "Must have app for outside sales reps"
MapAnything features a wide range of capabilities for salespeople and managers, opening up increased effectiveness for outside sales. The mapping tools can also be used in creative ways to assist with Salesforce administrative tasks that revolve around regions. So far we have had nothing but a positive experience with MapAnythign. If there are any performance issues, the support staff has been quick to work on solving those issues while communicating directly with our team. Never hesitate to reach out to MapAnything support. They can provide assistance in troubleshooting technical issues and helping with use cases. Our primary use for MapAnything has been trip planning for our outside sales staff, but we have also used it in planning out territories for our reps. The tool has allowed us to see how much income we receive from a territory and adjust boundaries as needed. "Nice features, a little bit of a learning curve"
The visual display of information and cross tabulated info is fantastic. Importing the data sets for various locations can be a pain if you don't have the data in a perfect state before loading. MapAnything is a great tool for those that are using Salesforce, as it ties in so nicely. It makes it easy for our sales team members to use the tool without having a lot of technical experience. It also has been a great tool for assigning territories based on client locations (say for clients that have facilities in 6 different states). And for the executive team, it gives us a quick look at the set up without having to read long documents that may not clearly layout what MapAnything shows so clearly. We use it to compare markets and our operational overlaps so see efficiencies in staffing and resources. "MapAnything: Necessary Tool for Increasing Selling Performance"
MapAnything gives us the ability to improve our existing sales processes and the simplicity of the tool makes for a seamless integration. The # 1 improvement would be to allow us to import/use existing SFDC reports vs. having to rebuild similar map layers from scratch. Like any new tool, plan your role-out and work you plan. This takes training and followup to increase the value of your expected ROI. MapAnything gives us the ability to visualize opportunities and vulnerabilities in our market that at a spreadsheet can't. This has allows us to create a more thorough and systematic approach to covering territories and product lines. "MapAnything a sales managers dream"
MapAnything allows my inside team to schedule and plan around anchor meetings - by seamlessly working with salesforce.com our account data and contacts allow for efficient call planning routes. "It has been an awesome experience. " I have a very large territory, Map Anything allows me to be efficient with my time while making sure I see all of my Top 25/35/& prospects. Sometimes it can be difficult to zoom in and out while trying to add accounts to my route. If you want your sales reps to be efficient with their time, this tool is necessary. Map anything shows me all of my accounts, so I am able to setup a productive work week. Most importantly it gives me the best route so I am efficient with my time while allowing me to focus on growing my business and helping my partners. "MapAnything had made our events more effective!" I work in University Admissions, and MapAnything has helped us to make our events more effective! Now, instead of inviting all of a certain zip code, city or state, we can invite students within an hour radius. Thanks MapAnything! We were wasting postage inviting students to events who would never be able to make the event work--MapAnything has streamlined our process! "Great way to map and visualize salesforce data"
Since MapAnything sites on top of salesforce, you get easy access into any object or attribute you have in your org. This makes scaling very easy. You are able to share out map views to another user with just a few clicks. We just started using the route planning tool, for some of our field-based employees and the feedback has been great. The UX is pretty powerful. The map zoom can be hard to use. It seems to only zoom in or out to certain "places" in the view. Sometimes the zoom is too far in, and you click to zoom out once and it is too far out. I wish I could get to that in between zoom place where the map is just like I want it. :) I also dont like that I cant share a map without screen grabbing it. I would like to be able to create a map and share it externally to someone not on the system, as read-only. A great tool for bringing any of your salesforce data into view, from a geo-location perspective. We needed a way to map locations of accounts to see how many are in a market and how they associate to one another. We also needed a way to lay other data sets on top so show additional associations. The tool allows us to be more powerful and impactful with our strategies. "This product saves time and money"
We use the MapAnything tools to plan sales trips. This process used to take 4-5 hours of intense effort. It now takes 20 minutes. Huge savings for us in preparation and in optimizing the routes for calls. Haven't found anything yet. The tool is easy to use. We are still learning the product and believe that there is more value to be found. It has already more than paid for itself. I like being able to look for the industries that work best with what I do. I can also eliminate those that don't work well. With the information provided, many times you can't tell if the industry or sector is a good match for you to reach out to. Check it every day. Use it to find good companies to work with and to help you know which companies aren't a good fit. It helps find companies that I can work with instead of coming up with them on my own. Most of the information that I need is pre-filled. "MapAnything helps us target our marketing dollars!" That we can visualize our data to see areas of high concentration of applicants and plan targeted events around that data to improve enrollment outcomes. There's a lot to train users on to support adoption. We use MapAnything to show us where our graduate applicants are coming from to help us target parts of the world with our marketing and recruiting travel. "Great product, saves me lots of time"
The product just works. It's easy to configure and easy to use. They are constantly updating, which is a good thing. However, it often confuses our users when the changes affect what they are used to seeing. Viewing accounts in Territory maps was a huge issue for us. Seeing lists does not always portray an accurate picture. Seeing the maps is much better for our Sales team. "Good visualization tool for sales team!" Being able to plot accounts on maps for prospectig purposes has really helped my telesales team make effective prospecting strategies! Sometimes the application can take a long time to load. Having a field-service based business can make it difficult for sales reps to realize what area they're calling into. MapAnything has allowed my team to prospect and build service runs to specific geographies which allows our field & operations teams to perform work & schedule jobs more efficiently. "MapAnything has really helped us visually segment our records by geography." We have been able to create new territories, launch geographic campaigns and divide workflow with ease. When dealing with large amounts of data, it can take some time to plot the data on a map. This is a great too and priced very reasonably. I really can't imaging prospecting without it. This is really helping us be more strategic in marketing to new territories. The simplicity of multiple sales users able to identify one another sales territory. The cost of MapAnything - as with many Salesforce integrations, is a lot. Make sure that your company has a large enough sales force so that you are getting the most out of your system. Their support was great and are available for ongoing trainings. Nothing specific in regards to problems our team had at XTRACOM, we were just unable to fully utilize all the capabilities and with a smaller sales team - were able to use our own internal processes for tracking sales territory. "Real Estate Use of Mapanything"
I use Mapanything to plot out commercial properties of certain size across the region. The customizable interface allows me to assign a color scale so that I can do a quick search of the surrounding area for properties of similar size based on the parameters I set. Then I can hover over that specific point and get a basic summary of that property and know if I want to call on that owner or not. About one out of 50 times the geolocation results sent back to our Salesforce integration will have the location off by sometimes a few hundred yards to once in a while a few miles. From a commercial real estate brokers perspective I would certainly recommend this product. It allows me to take a visual search of the properties I am looking for rather than doing a database query. So if I'm searching in a city I'm not as familar with I can look for properties directly around my subject. If I was in database mode I have no idea where that particular property is in relation to my subject. Saves me a considerable amoutn of time not needing to look up each individual property from the database. "MapAnything is definitely a benefit to the Salesforce ecosystem"
MapAnything helps fill the gap that Salesforce Reports cannot do. The ability to join multiple objects and report on them and visually show them on a map helps our Sales Management team successfully see where account distribution on territories are overloaded or misrepresented. I also love the fact that it is simple to use. I have been able to train my users without much instruction because of its intuitiveness (is that a word?). You get the point. One limitation that I would like to see improved is when mapping out the territories by zip, city, county, we have to do a search manually and would be great to have a drag and drop function. Make sure that you define solid use cases to allow MapAnything to propose solutions that meet your needs. If you don't have clear use cases, it can take you a long time to implement and get a benefit out of the product. Our Sales Management team has faced challenges of defining territories to maximize the field sales reps that they manage. MapAnything helps in understanding coverage of the accounts. Another business problem it solves is for our marketing department that needs multiple points of data which the standard reporting functionality doesn't provide. Additionally, we wanted to simplify how our sales reps would capture information on a visit they made at an account and the Map It and Disposition feature makes it easy and quick to complete a task that integrates well with SFDC. Strong integration with Salesforce and excellent customer service. Having to explain to the sales people that don't adopt this quickly that they are missing out on a great opportunity to manage, plan, segment and execute their strategies by using this tool. Easy to use and administer. Takes a bit of training for end users if they are sales-types and not used to the structure of Salesforce. Customer segmentation and targeting the right people to call on with the right products. Additionally, targeting the right people in a concentrated area is incredibly easy with the routing capability. - initially we bought the building data, but didnt pursue it a second time. "An Important Way to View Your Data"
Easy to set up and get started with standard objects. Segmenting is easy as well through field criteria and also cross filters. Can be a little tricky to set up with custom objects but documentation ended up being helpful. Great tool - definitely check out their new radius tools - you can limit queries to contacts within a certain driving distance. It's amazing! Our main use for Map Anything has to do with populating email campaigns based on a contact's proximity to an event. I like the routing features with MA and the fact it's tied in to Sales Force. I like the people I've been working with, too. I don't like how long it is taking to customize what we need and expected; I don't like that we had to change the type of licensing needed to tie SF to our program; it's turning out to be more expensive then what I had budgeted for. Make sure you have a complete understanding of the procedures to get what you want out of the system. Routing for my retail team has been greatly approved. The Live experience has been frustrating. MapAnything allows us to see all of our customers on a map and get to them easily and efficiently. Still seems like a startup and are figuring out some bugs in new software, but the primary software works like a dream. We have been able to scale our business, as most of our business is collecting food. Now we can spend almost no time on creating routes, and all of our time collecting food. I can create campaigns based on regions that I otherwise wouldn't be able to create. I wish I had more ability to segment by zip codes. Great for mapping routes and creating unique territories that don't follow traditional boundaries. I can see where we're having the most success for our sales team visually. I can segment our products and find our best territories for each. I really liked the way I could configure maps within SalesForce, using a variety of data points. The inability to download high-quality pdf images of maps for different use cases is frustrating, and ultimately forced me to look elsewhere for mapping software. Fantastic if you want to use internal info and tracking. Less useful if you need to generate public reports, because there is still no high-quality export feature. I was using MapAnything to map our client base on different scales across the state, taking into account different demographic factors. "Very helpful for visualizing geographic data"
We have a lot of records and sometimes the load time can be slower than I'd like. We don't use as a daily tool, but it's extremely helpful when we do need to use it. We needed to better understand our reach with local patrons as well as patrons from outlying areas. With this data, we are a strong partner with local tourism businesses and can create targeted promotions and packages to out-of-area patrons (and potential patrons). "Great application for Geographical Visualizations and Routing"
The ability to visually layer multiple data points on a map of the US to give our executive and marketing teams a way to see in real time where we are doing the most business and where our open opportunities lie. Nothing. We're very happy with the application. Quickly allows executives and sales leaders to visualize key data points for analysis and presentations. I like the Add to Route button and how it correctly calculates the drive times. "Great Product and Great Staff!" The MapAnything staff is so helpful! They have no problems jumping on a call to walk me through any issues I might be having. And now it has it's own app! As an admin, it would be helpful to be able to select one of my users to be able to view from their log-in. Without having to do so from a computer and through SalesForce. I would definitely recommend MapAnything. Not only for the use of the product, but for the phenomenal customer support. What territories or regions we need to concentrate on to increase sales. "Great product and amazing customer support!" MapAnything has a solid Salesforce integration, the ability to mass update records is my favorite feature. Learning how to plot shape layers was a little tricky, would like to see that process become more intuitive. We are a chapter based organization. 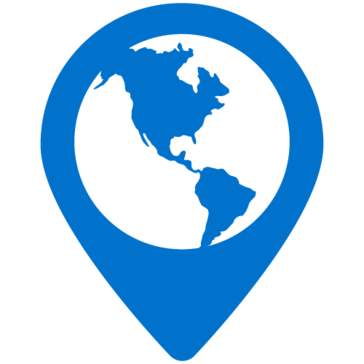 Using MapAnything's geo targeting capabilities, we are able to communicate with our members in a relevant way. "One of my favorite Salesforce Add-Ons"
The flexibility of the product to map our existing database using different parameters is really powerful. The service is also excellent - they provide training when needed and are super quick to response. I've just added their business data layer to supplement our own lead database and am excited to leverage that. The UI needs work. It's a bit clunky but they are aware and I've heard they plan to make improvements. Just use it for 6 months. We need to be able to visualize our opportunity set and set regional targeting strategies and campaigns. "PM of Technology Sales Support"
Inability to directly create a driving route from a schedule you have built. You must save your schedule and then navigate to Route, create new and import the schedule you saved. Time consuming and would be nice to click a button from schedule to build driving route directly. Daily and weekly Sales planning/Identifying leads/prospects in a territory you are working. Increased level of leads for potential conversion to customers. "Easy to use and Great addition to our Sales Tools"
Ability to create routes easy. Viability on a Map to give the Sales Team a better view and it helps with clean up if something populates in an area the should not be assigned. New Sales Rep are able to see all there accounts on the Map to view last activity etc. * We monitor all MapAnything reviews to prevent fraudulent reviews and keep review quality high. We do not post reviews by company employees or direct competitors. Validated reviews require the user to submit a screenshot of the product containing their user ID, in order to verify a user is an actual user of the product. Hi there! Are you looking to implement a solution like MapAnything?